Welcome to another Technique Tuesday! I will be bringing you tips, techniques, and tutorials each Tuesday on Jewelry & Beading. Some of these posts will be what I call The Basics, which we will refer … Please feel free to leave comments that share your favorite materials and methods for today’s topic. 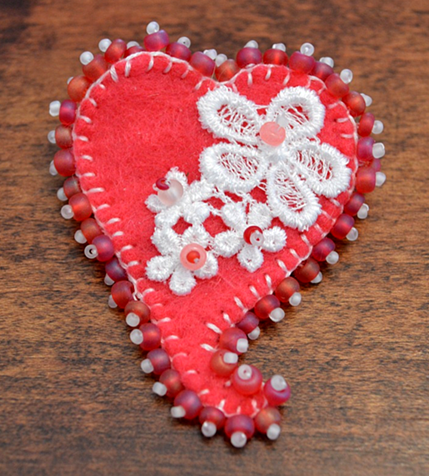 Deborah Schlegel of Art Threads shows us how to make this sweet little beaded brooch — great for Valentine’s Day or any day you want to show a little love. In this video, learn the basic technique for a free form method of bead embroidery that can be used to fill in any number of shapes. 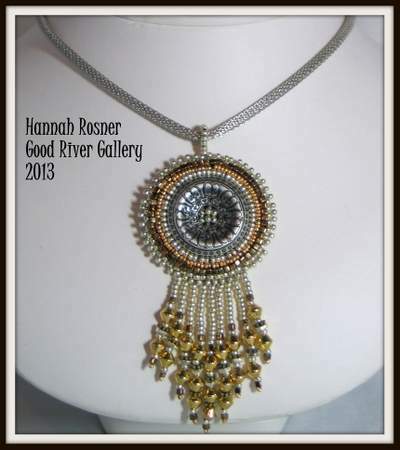 This technique gives a much different look and texture to your bead embroidery.